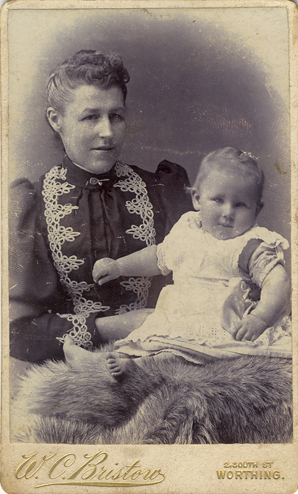 [ABOVE] Carte-de-visite portrait of a young woman by W. C. Bristow, 2 South Street, Worthing (c1895) [ABOVE] Carte-de-visite portrait of Mrs Rebecca Gadd with "Reg, 12 months old" by W. C. Bristow, 2 South Street, Worthing (c1894). 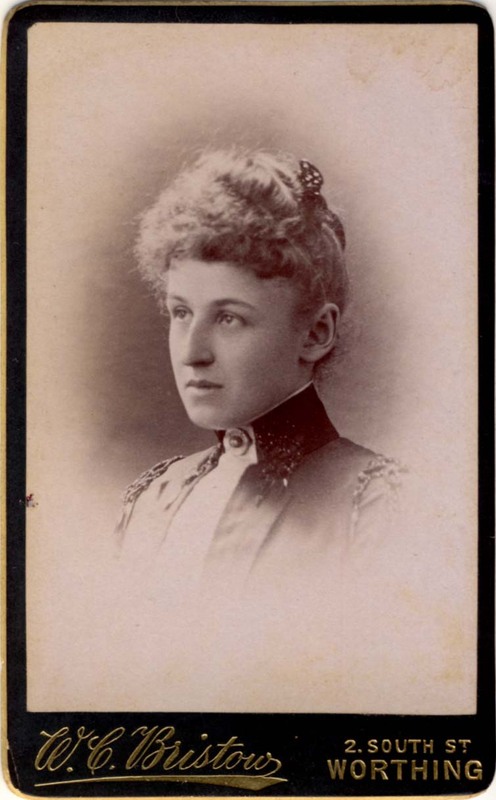 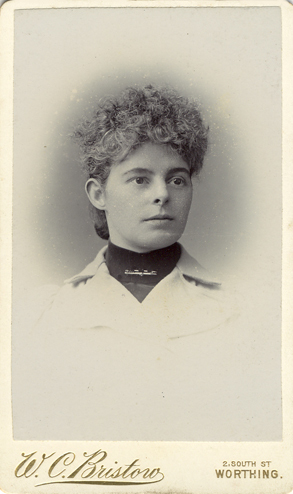 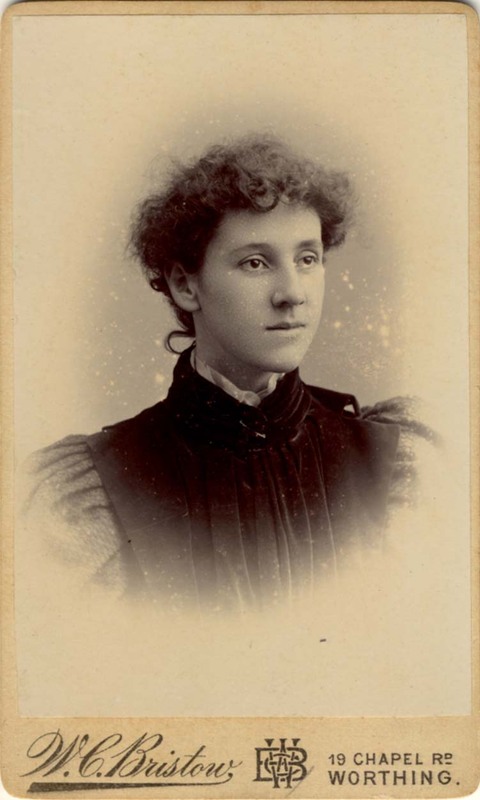 [ABOVE] Carte-de-visite portrait of Mrs Mary Ann Leigh (formerly Mary Ann Warth) by W. C. Bristow, 2 South Street, Worthing (c1895). 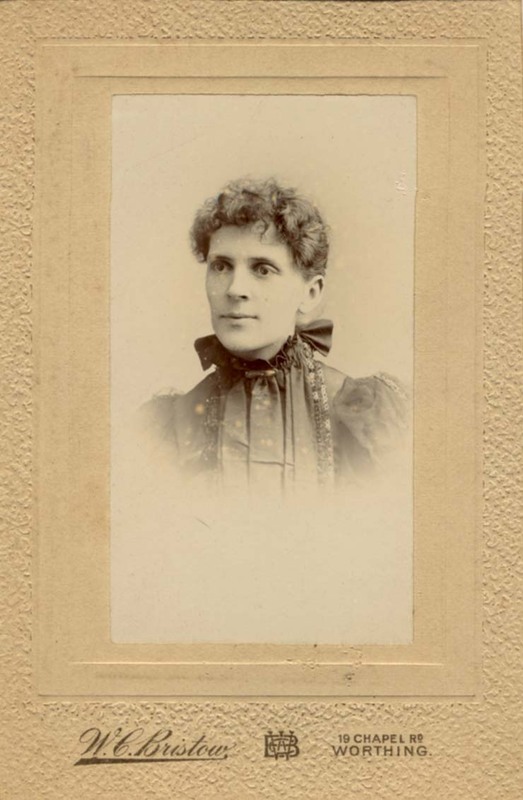 Mary Ann Warth (born 1843, Chatteris, Cambs.) 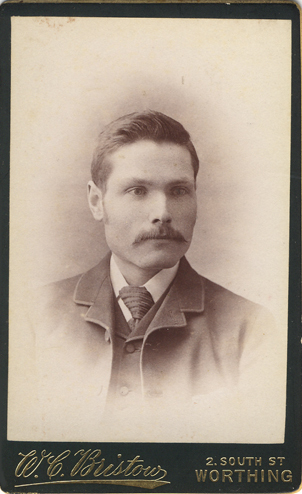 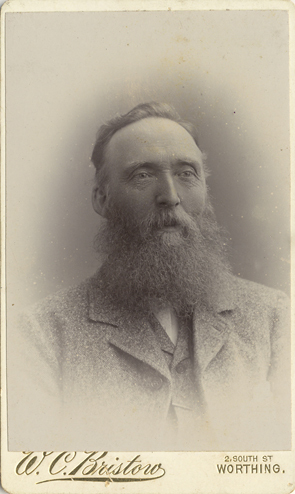 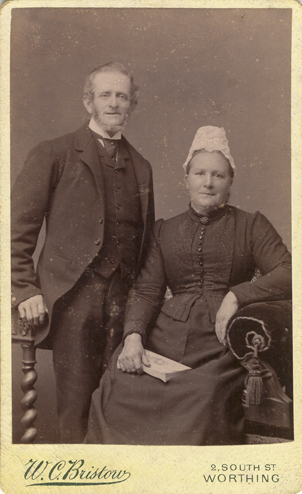 married Edward Leonard Holmes Leigh (1845-1915), a Cambridgeshire farmer, in 1868. 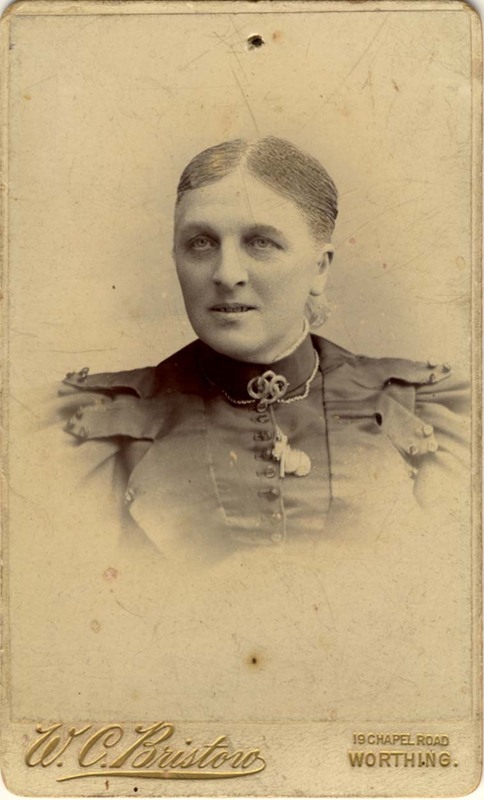 [ABOVE] Carte-de-visite portrait of Mrs Mary Ann Leigh (formerly Mary Ann Warth) by W. C. Bristow, 19 Chapel Road, Worthing (c1896). 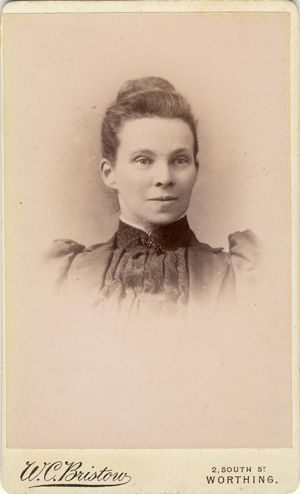 Mrs Mary Ann Leigh (1843-1906) moved to 2 Shelley Villas, Shelley Road, Worthing, around 1895.Mrs Mary Ann Leigh died in Worthing in 1906. 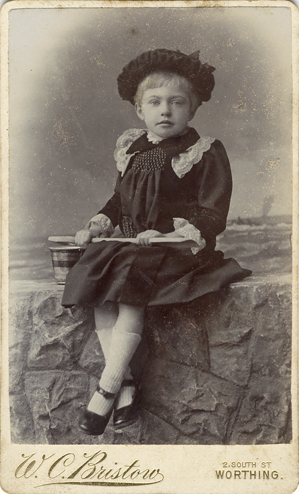 [ABOVE] Carte-de-visite portrait of a young woman taken at the studio of W. C. Bristow, at 19 Chapel Road, Worthing (c1896) [ABOVE] Carte-de-visite portrait of a young child by W. C. Bristow, 19 Chapel Road, Worthing (c1896). 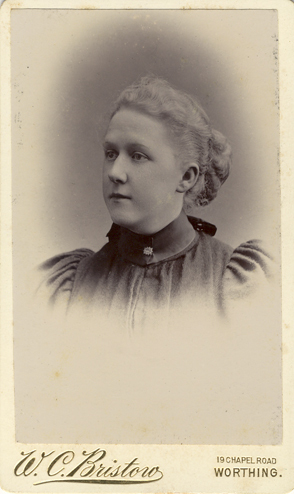 [ABOVE] Carte-de-visite portrait of a young woman by W. C. Bristow, 19 Chapel Road, Worthing [ Proprietor : Mrs Eliza Bristow] (c1898). 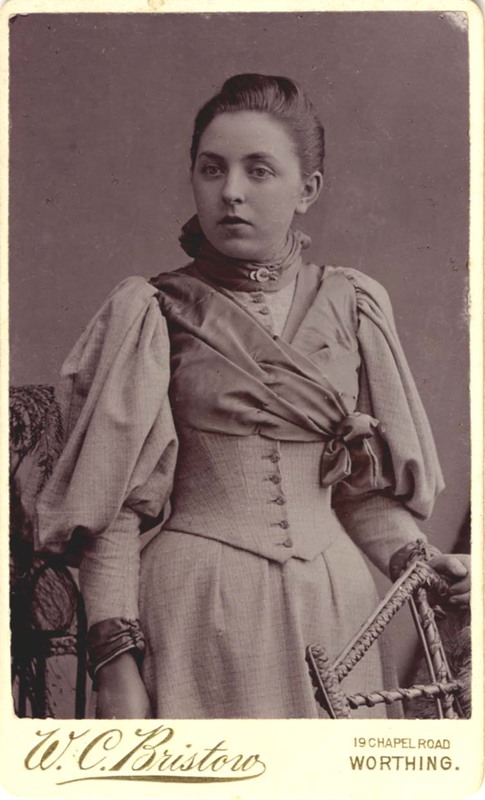 [ABOVE] Carte-de-visite portrait of a young woman by W. C. Bristow, 19 Chapel Road, Worthing [ Proprietor : Mrs Eliza Bristow] (c1898). 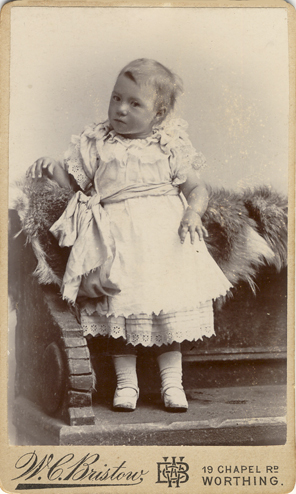 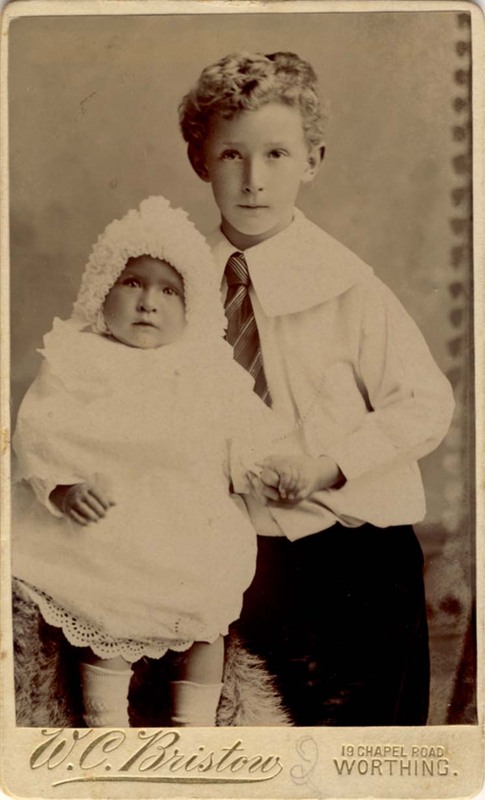 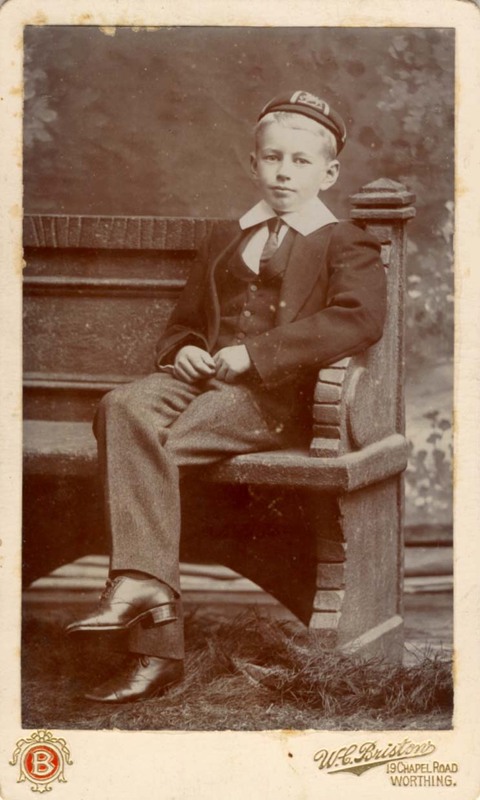 [ABOVE] Carte-de-visite portrait of a boy with a baby by W. C. Bristow, 19 Chapel Road, Worthing [ Proprietor : Mrs Eliza Bristow] (c1899). 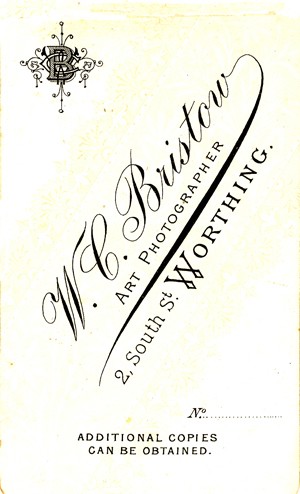 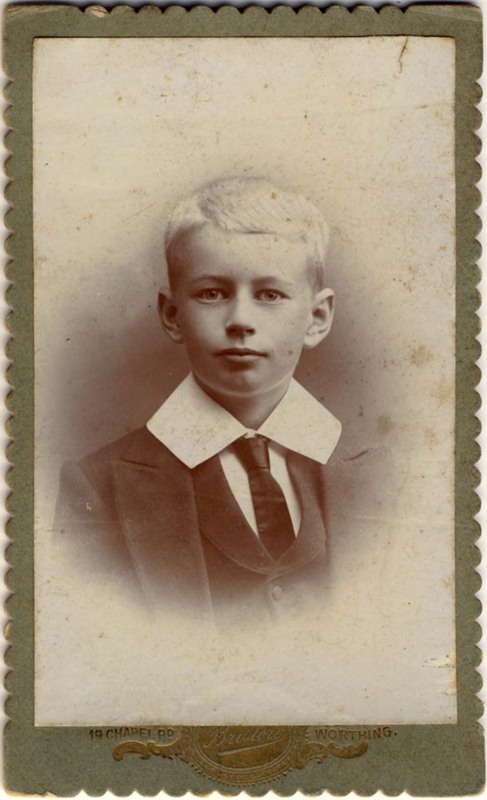 [ABOVE] Carte-de-visite portrait of a young scholar by W. C. Bristow, 19 Chapel Road, Worthing [ Proprietor : Mrs Eliza Bristow] (c1905). 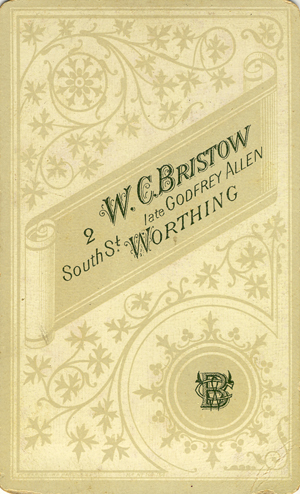 [ABOVE] Carte-de-visite portrait of a young scholar by W. C. Bristow, 19 Chapel Road, Worthing [ Proprietor : Mrs Eliza Bristow] (c1905). 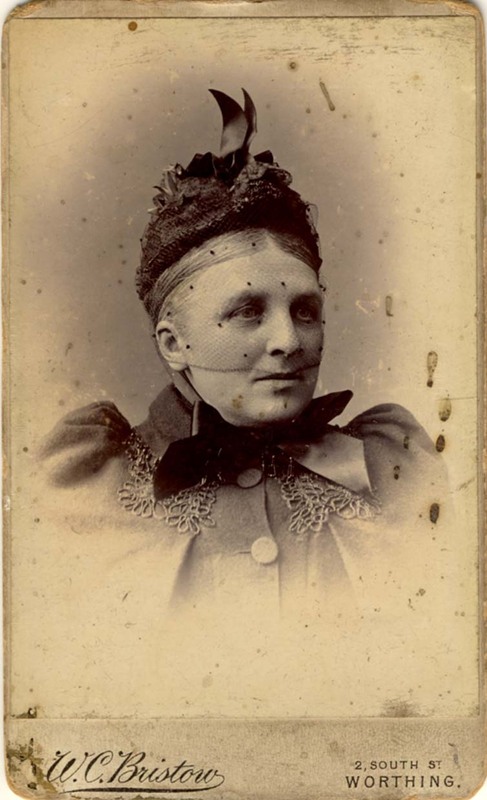 [ABOVE] Carte-de-visite portrait of a woman by W. C. Bristow, 19 Chapel Road, Worthing [ Proprietor : Mrs Eliza Bristow] (c1902).